The baked potato is a food item. The baked potato is the product of a potato being cooked in a furnace. 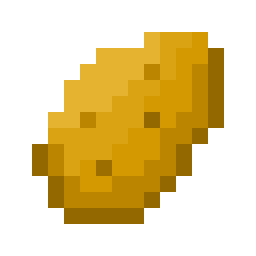 When eaten by the player, the baked potato restores 2.5 food points. This page was last edited on 28 March 2019, at 16:34.